The Manufacturers Association of Central New York (MACNY) was excited to participate in this week’s launch of a new registered apprenticeship program at Beech-Nut Nutrition. 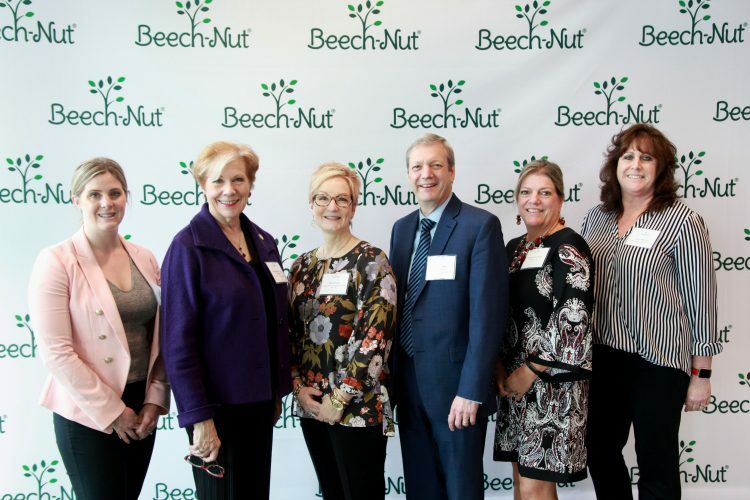 The program combines supervised on-the-job training at Beech-Nut’s Amsterdam facility and related classroom instruction delivered through the State University of New York. MACNY, in collaboration with the vital community partners, will serve as the group sponsor of the electro-mechanical apprenticeship program, which will facilitate the transfer of knowledge from mentor to apprentice. During the event, a dozen eager Beech-Nut apprentices signed a commemorative poster board to kick off the start of the program. Producing baby food since 1931, the Beech-Nut Nutrition Company has been built on a history of innovation and dedicated to producing healthy, wholesome infant nutrition. Headquartered in Amsterdam, New York, Beech-Nut is a leading baby food brand in the United States and is committed to offering parents Real Ingredients, Simply Prepared for their babies.